shooting a remington 700 in 300winmag - tac 21 MDT chassis (built in 20moa) with Leupold mark 8 optic, vortex cantilever mount with zero moa. I can't site it in for 100m 200m, I got it hitting at 300m with the top of the cross hair, maxed out adjustment. 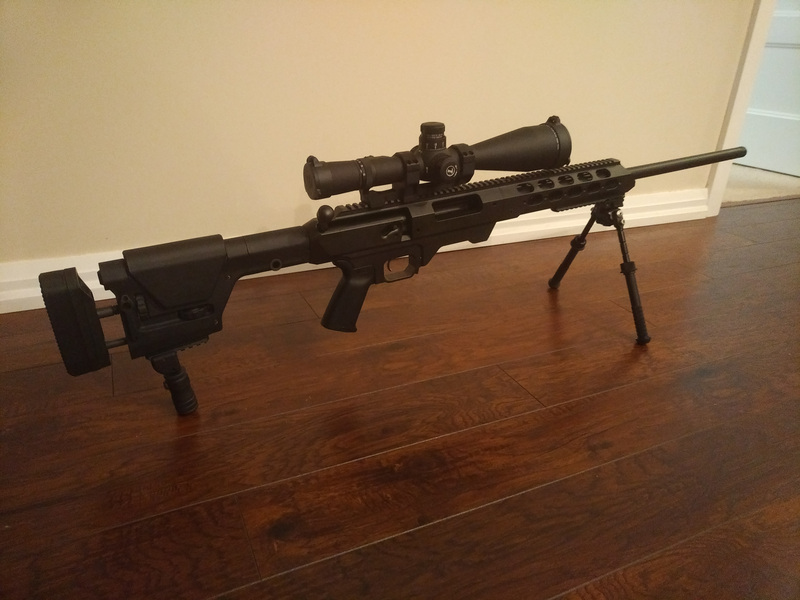 I've never used a cantilever mount before, would a zero moa mount still be adding something because it's a cantilever ? I'd like to be able to hit 100-300m with the center of my cross hair, my only idea in getting a 20moa mount and flipping it backwards to get rid of the base moa. do you think I have something weird going on or do I have to change something out to achieve that short distance, what do you think? I think you should be able to zero that scope at 100m with your current 0MOA mount. Were you able to bore-sight the scope to see if it was close when you mounted it. Second, please tell me that the tab on the power selector ring is not jammed on top of the mount and that it only looks that way in your photo. Third, if that's the 3.5-25x56 M5B2 scope, it should have a total elevation range of 90MOA (or about 26Mils). Can you turn the elevation dial enough to get that full range? If not, check the zero stops to see if they're set improperly. MOA isn't MOA unless its MOA... need your view point.